What does nostalgia look like to you? Cambridge Dictionary defines nostalgia as a feeling of pleasure when musing over one’s past. A feeling complemented by just a slight tinge of sadness. It’s something universally melancholic, a peculiar sensation with the ability to surface in the most unexpectedly unremarkable of situations. From smoking a cigarette on your patio during a nice Autumn afternoon, to a chance encounter with an old friend, or, presented in a more direct and purposeful manner, in the cinema of Wes Anderson. Perhaps the most recognizable auteur in the context of contemporary cinema, Anderson has, for the past 2 decades, been the quintessential voice of cinema as a form of escaping to the tranquility of one’s past. Through his picturesque use of symmetry and color, coupled with an aptitude for quirky characters, Anderson has cinematically expressed the inexpressible. He captured the intimacy of nostalgia and communicated it in a way that’s enjoyable by just about anyone. Unfortunately, quality does not entail quantity. Boasting just 9 feature films, Anderson’s entire oeuvre couldn’t even fill the ranks of a Top 10 list. Which brings us directly to the intent of this list. This collection of films aims to highlight not the acclaimed cinema of Wes Anderson, but an equally acclaimed cinema of Wes Anderson-esque films. Films that explore similar themes, boast similar visuals, evoke similar emotions, and most importantly, serve to scratch that itch once you inevitably exhaust the entirety of Anderson’s 15-and-a-half-hour long filmography. One of the most common messages imparted by the cinema of Wes Anderson is the idea of maturity. Characters who experience growth, be it physically, emotionally, or simply in their relationships with others, are fundamental staples of any Wes Anderson film. Which brings us to the first film on this list, a quiet piece of Indie cinema, Jason Reitman’s critically acclaimed Juno. 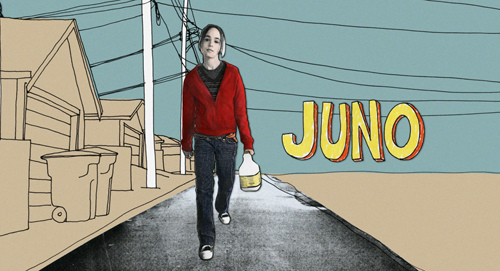 Juno sees the titular character, portrayed by Ellen Page, face the inherently unrelatable yet equally unromanticized affair of a teenage pregnancy. Reitman transforms this cultural taboo into a brilliant examination of maturity, examining the effects of such an event on not only the protagonist, but on the characters surrounding her. From Juno’s parents to the father of her child, to even the couple looking to adopt Juno’s baby, Reitman’s film presents an intimate world that examines growth as a universal phenomenon, one experienced by scores of individuals at vastly different stages of their lives. Like any Wes Anderson film, Juno packages its narrative in a way that’s simple to understand. Reitman’s camera captures the world of his narrative in all its quirks, all while maintaining that sense of honesty that comes with the inherently thought-provoking, yet never preachy nature of its subject matter. If one were to move deeper into the world of comedy, one would inevitably stumble across the whimsical cinema of Taika Waititi. A filmmaker bursting at the seams with personality, Waititi’s eccentric approach to filmmaking often finds its way to inject his unique style of quasi-deadpan humor in whatever narrative he so happens to helm, irregardless of subject matter, not quite unlike the craft of Wes Anderson. Hunt for the Wilderpeople, Waititi’s directorial effort immediately preceding Thor: Ragnarok, exists as perhaps the best possible example of Waititi’s style as a director. Existing as a surprisingly apt companion piece to Anderson’s Moonrise Kingdom, this 2016 slice of Kiwi comedy explores the theme of escapism projected not against the portrait of adolescent romance, but against that of a father-son foster relationship. A relationship that brings to life the boundless love shared between a child and a parent, even if it is one developed through a series of unpredictable circumstances. Like a manhunt amidst the wilderness of New Zealand. Though the film’s humor stands out as a delightful mix of both the styles of Wes Anderson and Edgar Wright, Waititi’s influences never once eclipsed the underlying theme of parenthood. Just like Anderson’s Moonrise Kingdom, albeit in a different sense, the chemistry between the two leads, both astronomically different in appearance and personality, is nothing short of delightful and certainly shines as the definitive element of the film’s charm. Because the cinema of Wes Anderson is one that fundamentally uses the style of the filmmaker as a form of storytelling, as opposed to the contrary. Waititi has grown immensely as a filmmaker, also exhibiting this school of thought with Hunt for the Wilderpeople, making it a film truly worthy of standing among the likes of any Wes Anderson film. Depressing. Bleak. Somber. Not only are these just some of the terms that define Adam Elliot’s 2009 stop-motion feature Mary and Max, these terms exist as elements fundamentally dissonant from the delightfully colorful cinema of Wes Anderson. So why is Mary and Max, a film so inherently different from anything Anderson has ever conceived, on a list highlighting otherwise? The answer lies not in the film’s admittedly gloomy exterior, but in its charming interior. 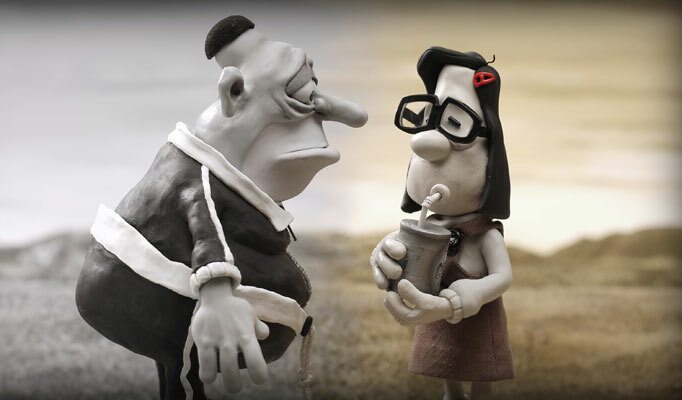 Mary and Max tells the very simple tale of friendship between the two penpals, whom we eventually grow to love as well as learn of their many quirks and traits. We learn that they are anything but simple. Max is an obese New Yorker suffering from Asperger’s, while Mary is an impressionable Australian girl living in less-than-ideal conditions. But regardless of the flaws in their designs, the two still exhibit a sense of hopefulness to meet one another. It is precisely through this innate sense of idealism, this idea of hope admittedly fueled by ignorance, that we find brilliant little shimmers of innocence. Mary and Max is a celebration of blissful ignorance. It reminds us, through Elliot’s amazing command of character perspective, that our lives are only miserable if we choose focus on the negative. That maybe having a childish sense of enthusiasm directed towards the fundamental idea of friendship is all the color we truly need in our lives. Depressing, bleak, and somber may not be terms one can use to define a Wes Anderson film, but hopeful, charming, and quirky certainly are. And these terms also exist as just some of the wonderful elements Adam Elliot’s Mary and Max conceals under its dark surface. While other films use the trope of the unreliable narrative as a tool to subvert audience expectation, Tim Burton’s Big Fish uses it as a means to build audience experience. Though regarded today as a stylistic filmmaker concerned more with creating worlds than characters, Burton’s cinematic approach in Big Fish remains one of his most personal, a film free from any preconceived notions of his style. 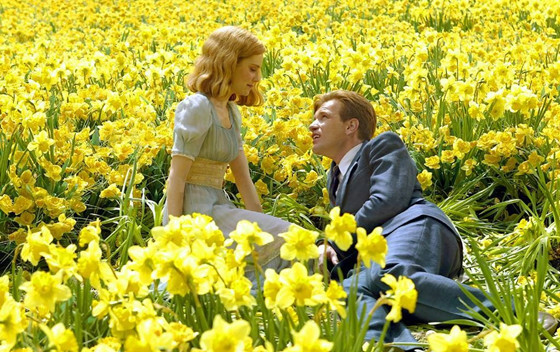 Because Big Fish is a film that uses Burton’s gaudy extravagance not as a means of communicating the story of the film, but as a means of communicating the story of a man. An ode to storytelling as a tool of optimism, Big Fish explores the realistic and relatable tale of a man struggling to form a connection with his dying father. The father, an individual boasting a life built on tall tales, serves as the defining element of the film’s charm. Burton’s camera works in tandem with the man’s penchant for hyperbole, capturing both the objectivity of the father-son relationship as well as the subjectivity of the father’s stories. Now armed with a strong intent to ground his opulence, Burton’s craft can finally be perceived in a manner similar to Wes Anderson’s, endearing as opposed to excessive. A film in many ways similar to Big Fish, The Fall is an experience that builds on the concepts of perception, experience, as well as the subjectivity of the latter merely established by the previous entries. The Fall imparts yet another narrative surrounding the idea of tall tales not as a form of deception, but as a necessary lie used to quell the universal sense of pain that is the one that comes with the harshness of reality. However, instead of concerning itself with the dynamics between a father and son as in Big Fish, The Fall explores the friendship between a child and a stuntman past his prime, a bond and the power of the boundless imagination she possesses. The film sees Lee Pace’s character, a bedridden stuntman, passing his time in the hospital by telling fantastical stories of adventure to a young girl with a broken arm, who herself contributes to the experience by imagining the impossible landscapes painted by Pace. 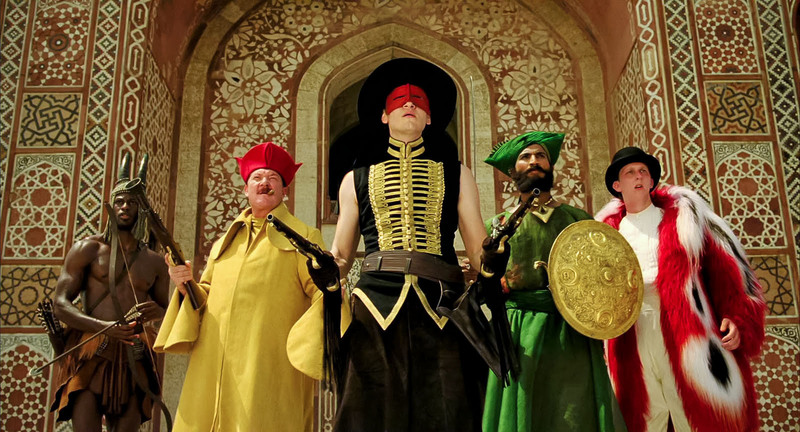 Whatever she imagines, visionary director Tarsem Singh brings to life on screen. From images of vast deserts to opulent palaces, The Fall is a film that may be bursting with color and personality, but it never once detracts from the overarching theme of friendship that grounds the narrative in realism. 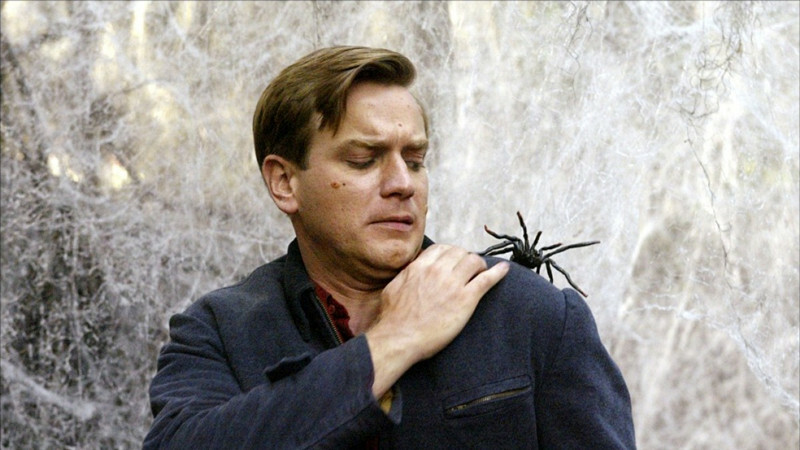 Much like Burton’s approach in Big Fish, The Fall is a film that doesn’t find its greatness in its impressive visuals. It instead finds it in the unreliability of character perspective, but this time personified through the innocent eyes of someone at the beginning of their life, looking ahead in awe, as opposed to one at the end, looking back in peace.